Saturday nights, we eat pizza. I believe a mutiny would occur, if there were not 3 - 4 pizzas sitting on the table every Saturday evening. Secretly, I think making pizza is so simple that it is as if the cook has a night off - win/win for everyone. 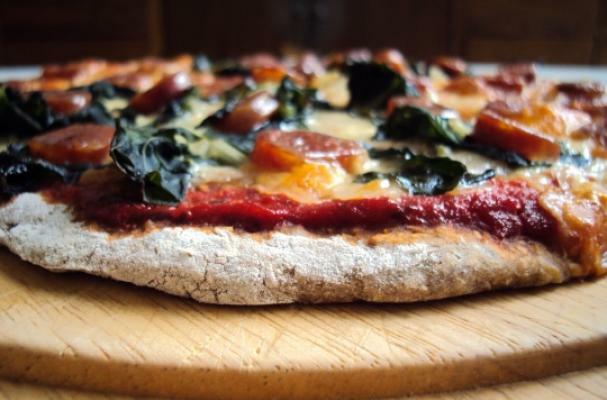 From thick to wafer thin crusts, veggies to all meat, pizza has a passionate following. Nowhere is this more evident, than in the Foodista files. Wait until you see some of the recipes that were uncovered, when searching for pizza. Here are 5 pizza blogs and recipes, to keep you busy for months. Enjoy!